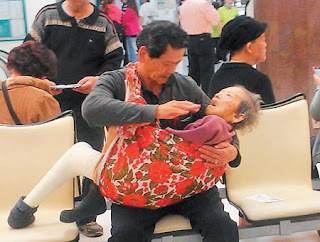 A middle-aged man in Taiwan, Ting Tsu-chi was caught in video, carrying his frail mother to seek treatment in Chi Mei Hospital(inset). That probably means that the first virtue in Chinese culture, filial piety is very much alive in Chinese society. Filial piety ( 孝, xiào) is a virtue of respect for one's parents and ancestors. It means one has to be good to one's parents, love and respect them, work to support them and behave so as not to tarnish their good name.One must not be rebellious, be polite and carry out sacrifices even after the parents' demise. Filial piety indeed is not an easy task! 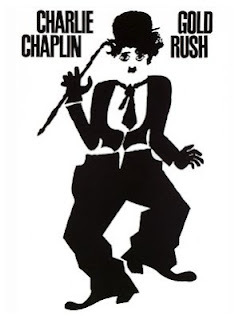 Perhaps, you'd still remember Charlie Chaplin and the Gold Rush but this is all about the Chinese School Rush. Just now, I was surfing the Net and had read that besides Chinese parents, Malay and Indian parents are also rushing to enroll their children in Chinese primary school. The Chinese schools in Malaysia are said to be flourishing despite the shortage of teachers. Most Chinese parents in Malaysia would send their children to Chinese schools as they hope that their children would retain their Chinese identity and learn to love their own culture and traditions. One would therefore wonder why on earth would non-Chinese parents send theirchildren to Chinese schools lest there is something else special there like a better set of teachers and so on. Then, of course, one would wonder too why some Chinese parents do not send their children there. Some Chinese parents perhaps, do not value their roots.It does not matter at all if their children are rootless.